Nairi (pronounced ny-ree) is a cute little garter stitch scarfy/shawly thing. 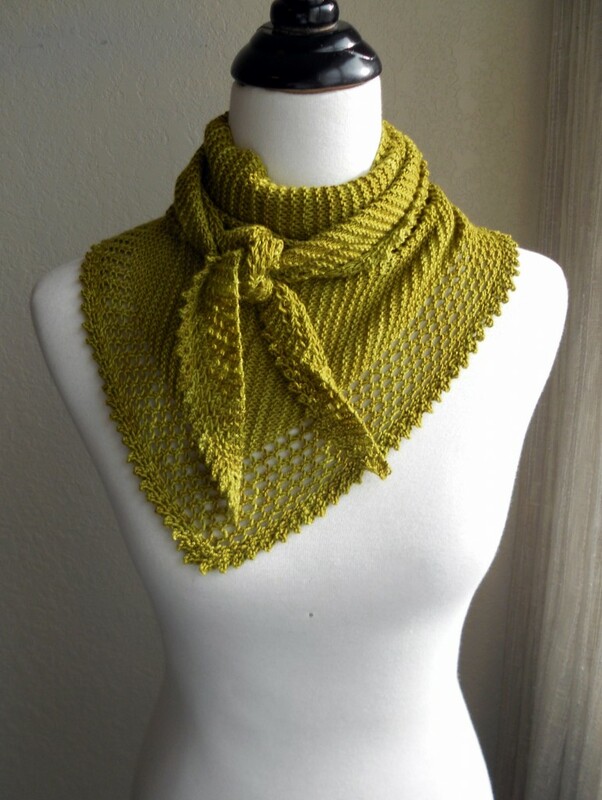 This simple scarf/shawl hybrid was designed with the beginner in mind. No purling required, completely reversible! If you have a scale, it is easily customized to any yarn weight or any knitter’s gauge. Work from charts or written directions based on your preference. I bought the Naire pattern, I just don’t understand, how you bind off 3 sts. in the row 5 if you have only 4 sts to knit with, and have 5 sts in total. Also for what I understand row 1 and all the right side rows are knitted, the pattern doesn’t say it. I’am confussed. Please tell me what to do!!!!! Not all of the RS rows (odd numbered) are plain knitting. Just Row 1. Row 2 and all WS rows follow the same format, which IS specified in the pattern. So work Row 1, then work the specified wrong side row, then work Row 3, then work that same specified WS row…and so on. If you’re having more difficulties, please send me an e-mail or a rav message so I can be more specific about the pattern. Hope this helps! If not, just let me know. Just picked up this pattern so that I could try some lace knitting. I can’t seem to figure out how to even start it…cast on 3 stitches right?and then knit the first row(3 stitches). Then in row 2 how do you knit to the last 3 stitches if there are only 3 to begin with??? Do you (kfb) those 3 stitches??? Leave a Reply to BestEula Click here to cancel reply.